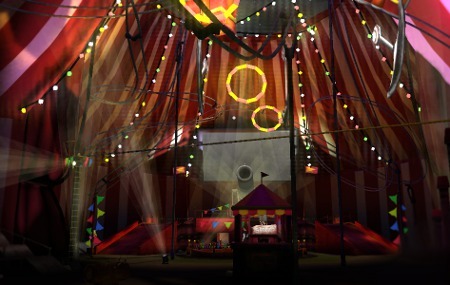 Circus is an online festival space that demonstrates the versatility of realXtend technology with a rich content and playful interactive elements. 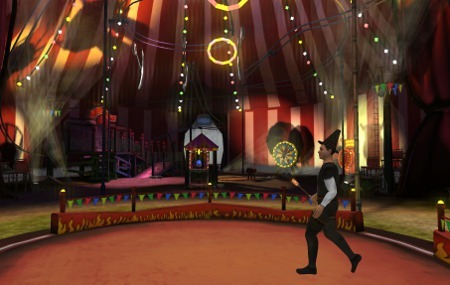 The interactive 3D virtual world includes minigames in a circus environment. 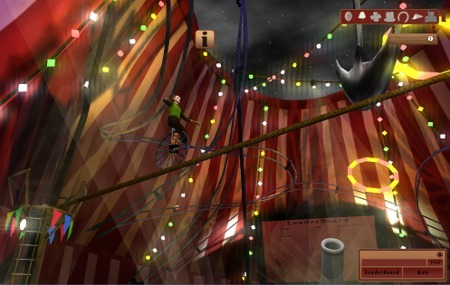 Player can try out riding the rollercoaster, riding an unicycle on a tightrope, throwing sharp knives like a circus professional, or be shot out of a cannon like human cannonball.